The French Open 2013 (also known as Roland Garros, after the famous French aviator) is a tennis tournament played on outdoor clay courts. It is the 112th edition of the French Open, and the second Grand Slam event of the year. 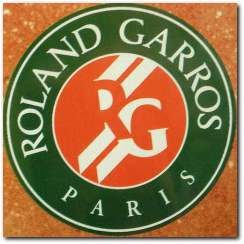 It is taking place at the Stade Roland Garros in Paris, France, from May 26, 2013 to June 9, 2013. Tennis Fans and People from different parts of the globe have been wondering and searching all over the net to know the French open 2013 TV schedule. Found below are TV channels that will be covering and showing the event live and also, the game times of when the tennis matches will be played. Continue reading below for Media Coverage in some countries. Rafael Nadal is the 3-time defending champion in men’s singles, whilst the 2012 champion in women’s singles is Maria Sharapova. It had been reported that the French Open was considering giving Nadal a seeding higher than his current world ranking (No. 5), on the basis of his history at the tournament, but French Open tournament organisers decided against it. Can men’s No. 5 seed Rafael Nadal defend his men’s singles title? Or can top seed Novak Djokovic go all the way to add to his grand slam titles? Also, UK-based tennis fans can watch the 2013 French Open live online for free on the BBC Sport website. Streaming of the tournament begins at 10am (British time) on Monday 27th May. Click the link below for the BBC’s live streaming, and also check out the official French Open website, which will have lots of live video coverage that will be available to viewers around the world. So, will you be watching the 2013 French Open?